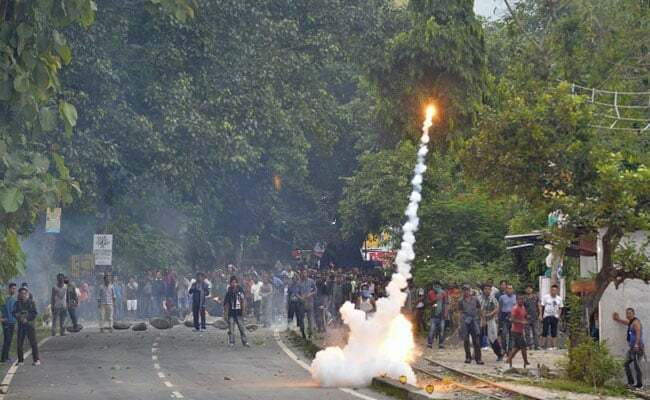 Darjeeling, West Bengal: The situation in Darjeeling hills remained tense but incident-free today as the indefinite strike demanding a separate state entered its 48th day. Police and security forces patrolled the streets of the hills and kept a tight vigil at every entry and exit routes. Except pharmacy, all the other shops, restaurants, hotels, schools and colleges remained closed. With food supply severely hit due to the ongoing shutdown, GJM activists and NGOs of the hills were seen distributing vegetables to the locals. West Bengal Chief Minister Mamata Banerjee, while addressing a rally in North Dinajpur district this afternoon, said she will never support the division of the state and urged all political parties in the hills to restore peace and normal life in Darjeeling.